Dec. 29, 2011 | Fremont Mayor Bob Wasserman died Thursday after a long illness. He was 77. Wasserman was the South Bay’s mayor since 2004. A former police officer, Wasserman’s public service to the residents of Fremont began in 1976 as chief of police. The pronouncement of his death came from the city Thursday afternoon. 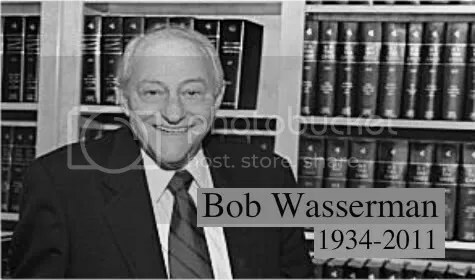 Wasserman passed away peacefully in the presence of his family, it reported. During the past few years, Wasserman had trudged along while ably leading council meetings despite the presence of an oxygen tube to help him breathe. Vice Mayor Anu Natarajan will assume the duties of mayor until the full council decides on officially naming a replacement. Natarajan planned to run next year to replace Wasserman. “Mayor Wasserman served the residents of Fremont for 35 years with distinction and dedication. On behalf of the City Council, I offer heartfelt condolences to the Wasserman family,” said Natarajan. Wasserman is survived by his wife, Linda, and their two children, Dan and Jill. Posted in Bob Wasserman, Fremont, Fremont City Council. Bookmark the permalink.